Morgan Murray is one of the kindest, most professional people I know. He is understanding, helpful and generous with his time. 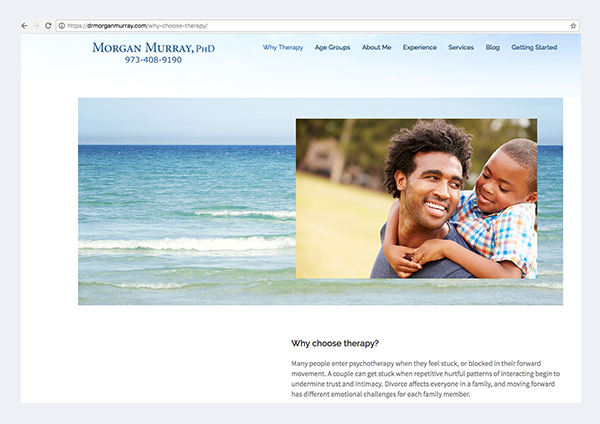 We set out to create a website that was not only informational, but also showed what a capable, inclusive, and caring psychologist he is. 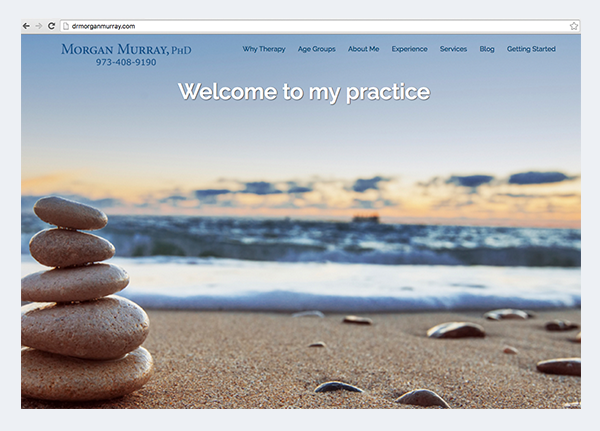 The website had to have people on it, because Morgan serves people. He works with clients of all ages, genders, races and nationalities. 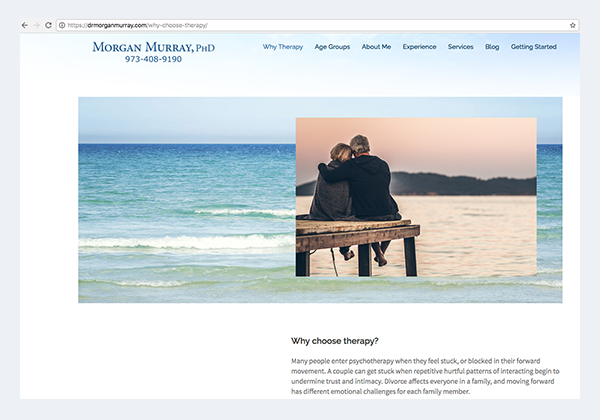 I added the idea of using beaches, oceans, and skies full of clouds as a calming element to the website. The combination worked very well and gives the viewer a sense of well-being. Visit the website for the full effect.